Emigrate to Australia where the average cost of buying a house in Melbourne is $693,886. Emigrate to Australia where a house within 10km of Melbourne city centre will cost you an average of $700,000. Further outside Melbourne city centre, only three suburbs within 20km of the CBD now have average house prices below $400,000. 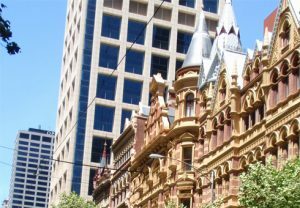 Melbourne’s average house price of $693,886 is $300,000 cheaper than Sydney where there are only two suburbs left within 20km of the central business district with average prices below $800,000. With an average price of $284,915, the suburb of Melton, 34km west of the city centre, is the cheapest place to buy a house in Melbourne. If you’re planning to emigrate to Australia to live in Melbourne, the Hume district – Coolaroo (average price $338,598), Dallas ($346,688), Meadow Heights ($379,207) and Broadmeadows ($404,546) – offers the best value houses 20km from the city centre. If you’re planning to emigrate to Australia to live in Melbourne, the Maribyrnong area offers four of the five most affordable suburbs within 10km — Braybrook ($613,399), Maidstone ($697,649), West Footscray ($763,177) and Footscray ($774,319). Albion, 13km west, is the cheapest suburb in which to buy a unit in Melbourne with an average price of $230,454. Within 10km of the city centre, units in Kingsville are the cheapest at $363,296 followed by West Footscray ($372,646), Carlton ($381,544) and Travancore ($389,321).